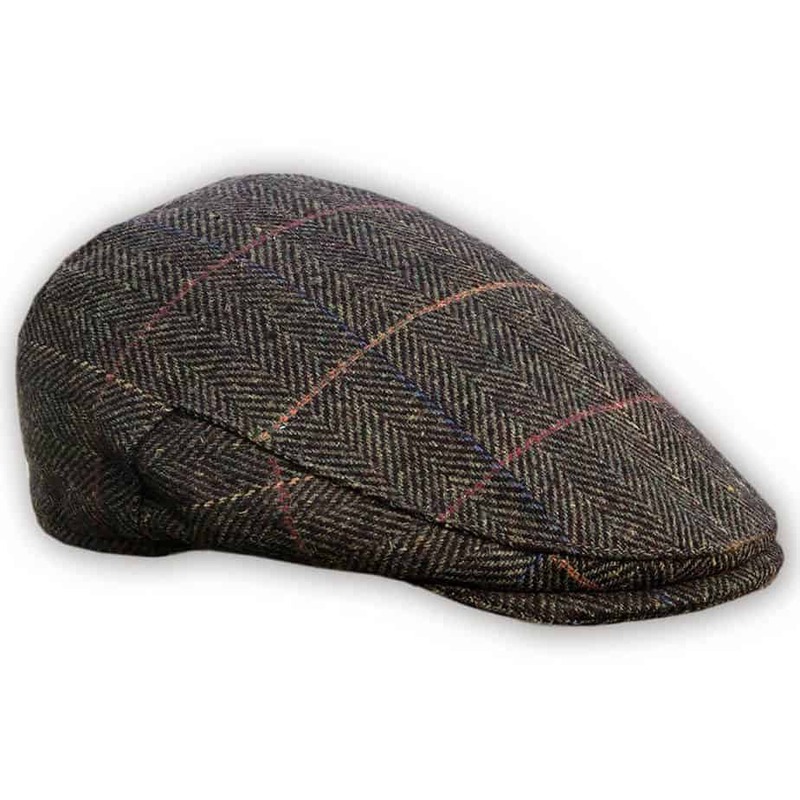 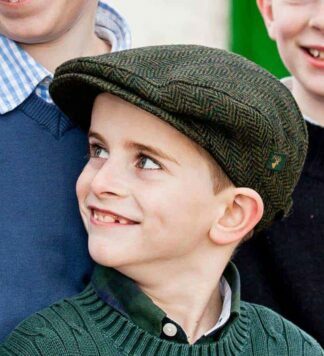 Traditional peak-style flat cap. 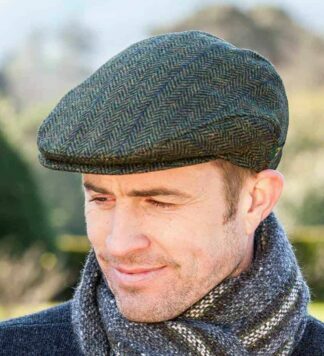 Herringbone tweed design in dark brown color. Perfect for men and women. 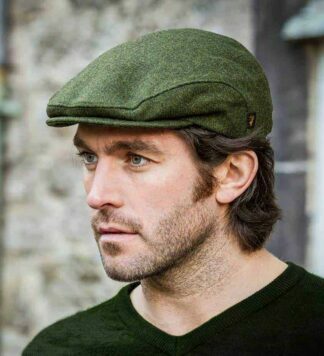 Imported Irish Cap. 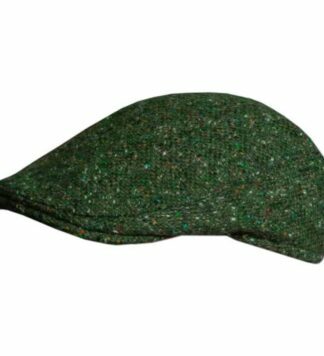 Fast shipping and easy returns from our US location.